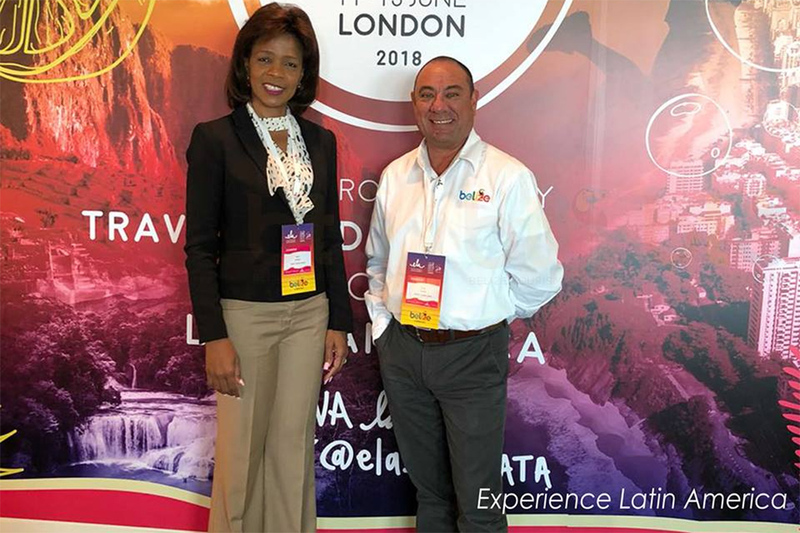 Belize is receiving tremendous attention and representation at Experience Latin America (ela), Europe’s only travel show dedicated to Latin America. This exclusive event connects key European buyers with exclusive exhibitors from Latin America. 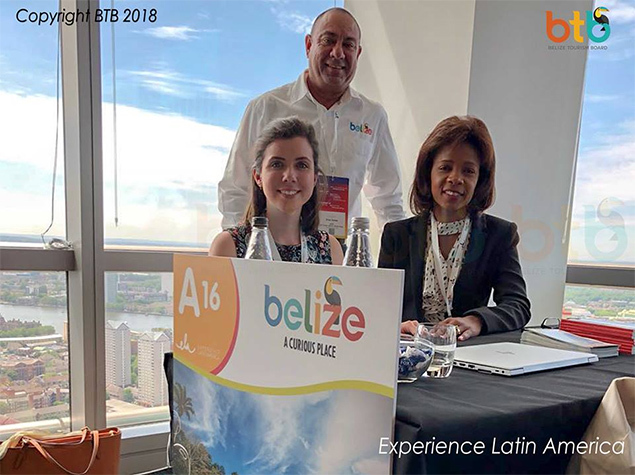 The three day event is taking place in London, UK from the 11 to 13 June 2018 and is being attended by BTB’s Chairman, Mr. Einer Gomez, BTB’s Director of Tourism Mrs. Karen Bevans and Caroline Parkin, Account Manager, Brighter Group, Marketing and Representation. This B2B event provides targeted 20 minutes meetings, great networking opportunities, inspiring seminars and time for appointments with exhibitors. This year with Belize’s sponsorship through the Belize Tourism Board, a Belizean menu is being highlighted at the ela Fiesta where delegates and exhibitors alike will have an opportunity to savor Belizean cuisine such as Fish Panades, Belizean BBQ skewers, plantain, mini burrito, ceviche and mango cocktail to name a few. The menu will also share some fun facts about some Belizean food. In 2017 ela yielded over 250 buyers per day from the UK and Europe. 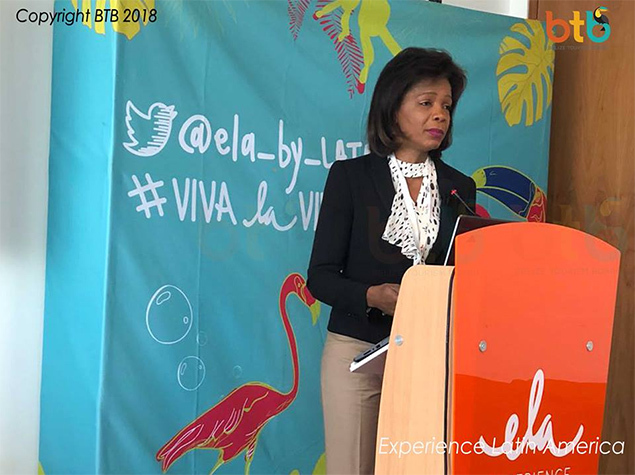 The BTB is pleases to showcase our Jewel at this exclusive event as we continue to build new relationships; strengthen existing ones and promote Belize as a Curious Place and as a premier tourism destination. Taxis Allowed Across the Bridge! ?